no moss in a nutshell. At no moss, our purpose is our people’s purpose. That means that every day, we’re looking for ways to help you find your purpose, and spend your life in its pursuit and maximisation. We call that the #PursuitOfTheUngooglable. We’re less a company than an anarchist commune of highly driven people who have aligned purposes. Together, we’re looking at radically new ways to create economic value together, in four major patterns – consultancy, products, innovation, and doing good. You are not just simply someone who has a love for solving challenging technical problems, you also have a deep human drive to coach and help those around you be better and more capable people, and are a champion for continuous improvement of the practices in your team. You are able to self-manage with a consulting client plus mentor between two or three other No Mossers. You have had a history of leading technology teams on projects from small “single-developer” projects up through to large projects with multiple squads, each with around six developers. You would have worked in Scrum and/or Kanban development, not just for their buzzword but for measurable, empirical outcomes. If you haven’t, we will teach you. We are open to people who have never formally done this role but aspire to, as well as people who have experience in this role – we’ll grade and craft the role for you assuming a cultural growth alignment (not just cultural “fit”) with us. We work with clients, from visionary founders with a dream, to budding scale ups with millions in funding and market traction, to well established enterprises in the top ASX 20. We work across a wide variety of industries, from retail to non profit to banking to aged care. Develop high-quality software design and architecture, by studying the needs of the business and users, studying systems flow, data usage and work processes and investigate problem areas. Identify, prioritise and execute tasks in an agile software development lifecycle. Build a shared understanding of technical solutions with both technical and business stakeholders, such as though facilitating workshops, developing documentation, flowcharts, layouts, diagrams, code comments and clear code. Lead and participate in practices that add to the software quality, such as reviewing pull requests, configuring linter rules, setting up automated testing and performing validation and verification testing. Coach and grow the capability of the developers in your team. Lead ‘in house’ efforts that actively contributes to the culture, knowledge and organisational norms. Highly desired: Experience using system monitoring tools (such as New Relic) and automated testing frameworks. Highly desired: In-depth knowledge of relational databases (such as MySQL, PostgreSQL) and document-based databases (e.g. MongoDB). Highly desired: Experience working in an agile software development lifecycle. Highly desired: Experience working as a delivery lead or “Scrum Master”. Highly desired: Bachelor degree in Software Engineering, Computer Science or a related degree. Paid volunteer days with Cause Corps, our not-for-profit micro-volunteering organisation whose mission is to "make doing good a daily habit." ### no moss in a nutshell. 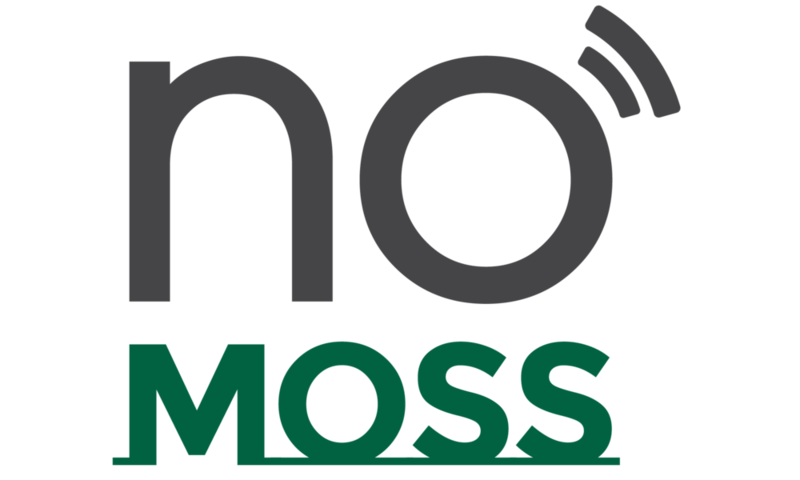 At no moss, our purpose is our people’s purpose. That means that every day, we’re looking for ways to help you find your purpose, and spend your life in its pursuit and maximisation. We call that the ***#PursuitOfTheUngooglable***. We’re less a company than an anarchist commune of highly driven people who have aligned purposes. Together, we’re looking at radically new ways to create economic value together, in four major patterns – consultancy, products, innovation, and doing good. What was a hypothesis three short years ago is now a consultancy on the [AFR Fast 100 @ #86](https://workable.com/nr?l=https%3A%2F%2Fwww.afr.com%2Fleadership%2Fentrepreneur%2Ffinancial-review-fast-100-2018-the-full-list-20181029-h179hx), and [#9 on the Deloitte Tech Fast 50 Rising Stars](https://workable.com/nr?l=https%3A%2F%2Fwww2.deloitte.com%2Fcontent%2Fdam%2FDeloitte%2Fau%2FDocuments%2Ftechnology-media-telecommunications%2Fdeloitte-au-tmt-tech-fast-50-australia-2018-winners-report-151118.pdf), an interactive arts &amp; games studio written about in PC Powerplay featuring an [unprecedented 32 games created in 16 months](https://workable.com/nr?l=https%3A%2F%2Fnomoss.co%2Fgames%2F), [an innovation program](https://workable.com/nr?l=https%3A%2F%2Fnomoss.co%2Fmakers) delivering outcomes to The Centre of Independent Studies, the CSIRO and Hello Sunday Morning (the winner of Google’s Impact Challenge) as well as founding, funding and supporting over 4,500 micro-volunteers in six countries to complete nearly 20,000 acts of good via our non-profit, Cause Corps. About 10% of our profits go directly toward our non-profit partners, including [One Child](https://workable.com/nr?l=https%3A%2F%2Fwww.gofundme.com%2Fmobile-computer-classes-cambodia) and [Cause Corps](https://workable.com/nr?l=https%3A%2F%2Fwww.gofundme.com%2Fmobile-computer-classes-cambodia); and our skilled volunteering opportunities are directed toward the latter. 1. **a system of radical transparency. ** We talk about the customers we lose openly and the reasons why we lost them so we can talk about how to improve together; we publish our games (failed or successful) online to demonstrate our learning journey; we have an internally transparent salary grading and rate card, allowing everybody to know what everybody else makes for themselves and for the company. We make all this and more visible all the time to allow our people to focus instead on making things (and each other) better. - Develop high-quality software design and architecture, by studying the needs of the business and users, studying systems flow, data usage and work processes and investigate problem areas. - Identify, prioritise and execute tasks in an agile software development lifecycle. - Automate tasks through appropriate tools and scripting. - Build a shared understanding of technical solutions with both technical and business stakeholders, such as though facilitating workshops, developing documentation, flowcharts, layouts, diagrams, code comments and clear code. - Lead and participate in practices that add to the software quality, such as reviewing pull requests, configuring linter rules, setting up automated testing and performing validation and verification testing. - Coach and grow the capability of the developers in your team. - Lead ‘in house’ efforts that actively contributes to the culture, knowledge and organisational norms. - 3+ years of experience as a software developer. - Highly desired: Experience using system monitoring tools (such as New Relic) and automated testing frameworks. - Highly desired: In-depth knowledge of relational databases (such as MySQL, PostgreSQL) and document-based databases (e.g. MongoDB). - Highly desired: Experience working in an agile software development lifecycle. - Highly desired: Experience working as a delivery lead or “Scrum Master”. - Highly desired: Bachelor degree in Software Engineering, Computer Science or a related degree.